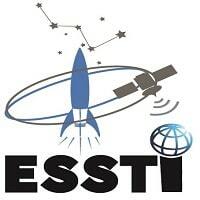 Remote sensing Research and Development Department (RSR&DD) is one of the entities under Entoto Observatory and Research center (EORC), Ethiopian Space Science and Technology Institute (ESSTI). The department is providing Master of Science (MSc.) and Doctor of Philosophy (PhD) level postgraduate training in Remote Sensing. This postgraduate training is mainly focused on the science, technology and application of optical, hyperspecteral, thermal and microwave remote sensing as well as land surface and atmospheric remote sensing. The training modality is mainly composed of a mixture of theoretical and extensive practical and digital image processing work to provide profound research and technical skills. On the other hand, this department is dedicated to conduct operational research and delivering community service so as to contribute for tackling the contemporary Ethiopian development challenges. Title: RSRDP/01/2010: Evaluation of the Status and National Demand of Earth Observation Application for Enhancing Agricultural Productivity and Natural Disaster Response in Ethiopia. Title: RSRDP/03/2010: Introducing Precision Agriculture Technology in Ethiopia: An Opportunity to Enhance Farming Productivity. Principal Investigator: Dr. Berhan Gessesse(PI), Dr. Worku Zewdie (Co-PI),  Mr. Tsegaye Demsis (Co-PI), Dr. Tulu Besha (Co-PI). Title: RSRDP/04/2010: Monitoring of near real-time forest and landscape dynamics using satellite time series observations with emphasis on enhancing implementation of REDD+ initiatives in Ethiopia. Principal Investigator: Dr. Worku Zewdie (PI), Dr. Berhan Gessesse (Co-PI) and Mr. Tsegaye Demsis (Co-PI). Title: RSRDP/05/2010: Integration of In-situ and Remotely Sensed Data set for Pasture Quality and Quantity Assessment to enhance livestock production. Principal Investigator: Mr. Tesfamariam Engeda (PI) Mr. Tsegaye Demsis (Co-PI) and Mr. Melaku Muka (Co-PI). 2018 Assessing and Quantifying Impacts of Land Use and Climate Changes on Hydrological Processes: Review, Journal of Environment and Earth Sciences, 8(3),10-18. 2018 Hydro-geomorphological characterization of Dhidhessa River Basin, Ethiopia. International Soil and Water Conservation Research, 6, 175–183. 2018 Positional accuracy test of digital orthophoto mapping: case Bahir Dar City, Ethiopia. Nordic Journal of Surveying and Real Estate Research, Volume, 13 (1), 7–17. 2018 Validation of new satellite rainfall products over the Upper Blue Nile Basin, Ethiopia. Journal of Atmospheric Measurement and Techniques, 11, 1–16. https://doi.org/ 10.5194/amt-11-1-2018. 2018 Spatio-temporal assessment of vegetation phenology in the dry sub-humid region of Nigeria using multi-temporal time series of AVHRR: Geoscience 10:1–11.